I love travelling and have an insatiable appetite for new places and adventures. But there's one place in the world that keeps drawing me back year after year. It's a place that makes my heart sing and brings a huge smile to my face. A place of sunshine, beaches, music and laughter. It is Antigua. Over the years, I've visited many tropical islands with my husband, Jim, and our daughter, Emma. But the Caribbean has long been one of our favourite parts of the world. And, although each island has its own character and charm, there's just something about Antigua that makes it feel like home. For the past few years we've been spending part of the winter in Jolly Harbour, on the west coast. It started with a couple of weeks, then a month... and, next year, we are heading to Antigua for the whole of January and February. So what is it about the island that we find irresistible? First, I think it's the people. We've always found them welcoming, friendly and helpful. The climate - hot sun but low humidity is another bonus. 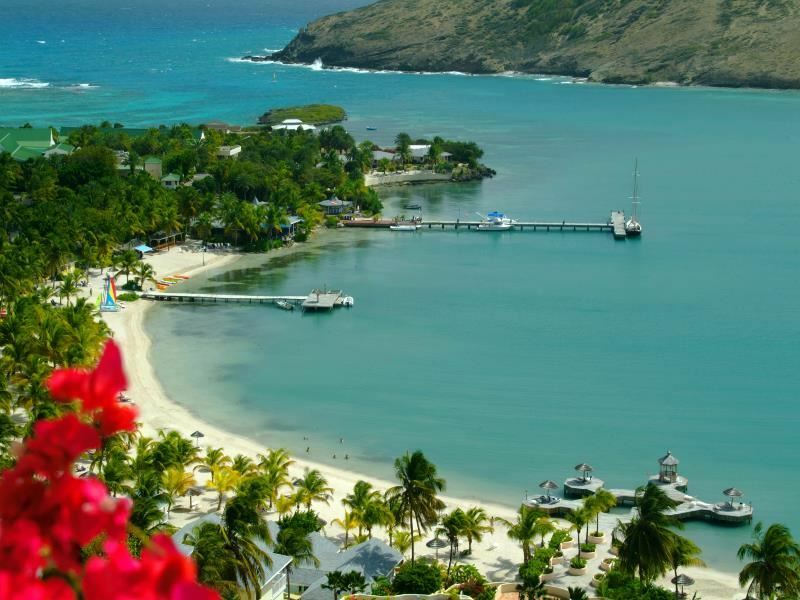 Then there's the incredible statistic that Antigua claims to have 365 beaches: one for every day of the year. Plus, there's the sheer beauty of the island: the azure blue ocean, the dazzling blue sky, the sprinkling of rain showers that are often gone in a flash but which keep the countryside lush. We find life in the Caribbean joyful. I start each day with a swim, then breakfast outside by the pool. We always hire a car and sometimes we go exploring-- but, mostly, we like to walk to one of the many beaches and jump in the sea. Sometimes we walk several miles in the heat of the day, which always makes that moment you run into the water so delicious! We've made friends with a couple who have a power boat, and they've been kind enough to take us out to some of the reefs where the snorkelling is excellent. 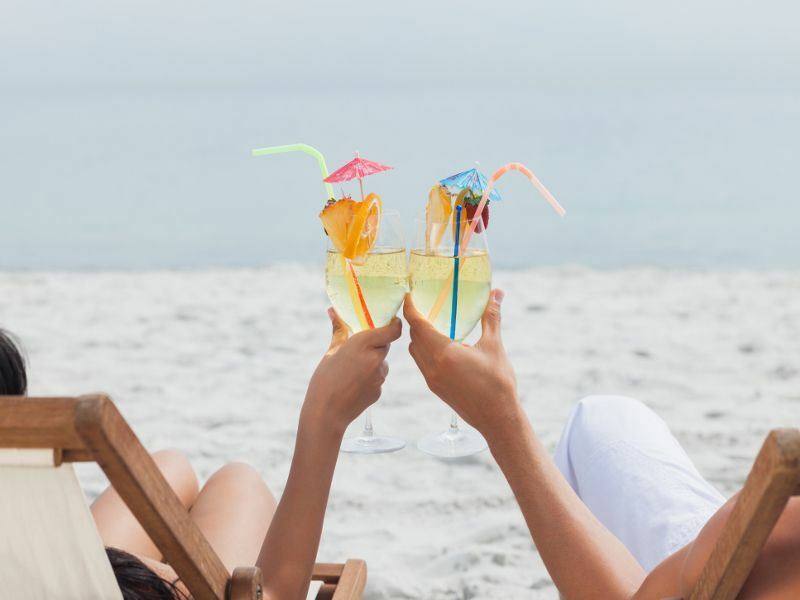 There's nothing quite like anchoring the boat and swimming ashore, pushing cool boxes full of wine and food, for a picnic on the beach. 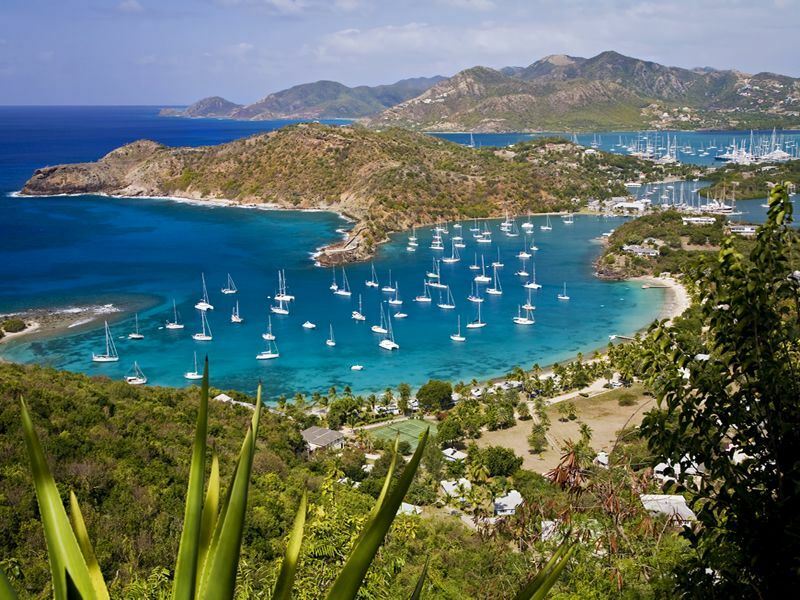 We prefer the quieter west coast, but the party side of the island is around English Harbour, where all the super yachts head in the European winter. There are bars galore and it's great for the youngsters. One of our favourite places for lunch is Denis's bar, on Ffryes beach, down the road from Jolly Harbour. On Sundays there's a live Caribbean band, with a fabulous lead singer. Most beaches have bars or restaurants with fresh fish and rice, or something more exotic if you fancy it. On special occasions we go to Sheer Rocks, perched high on the cliff with the most perfect view of the sun going down. As it sinks towards the horizon, we laze on day beds by the plunge pool watching the pelicans make seemingly suicidal dives into the sea for their supper. And then we move to the elegant restaurant for a dinner that has never been anything other than delicious. 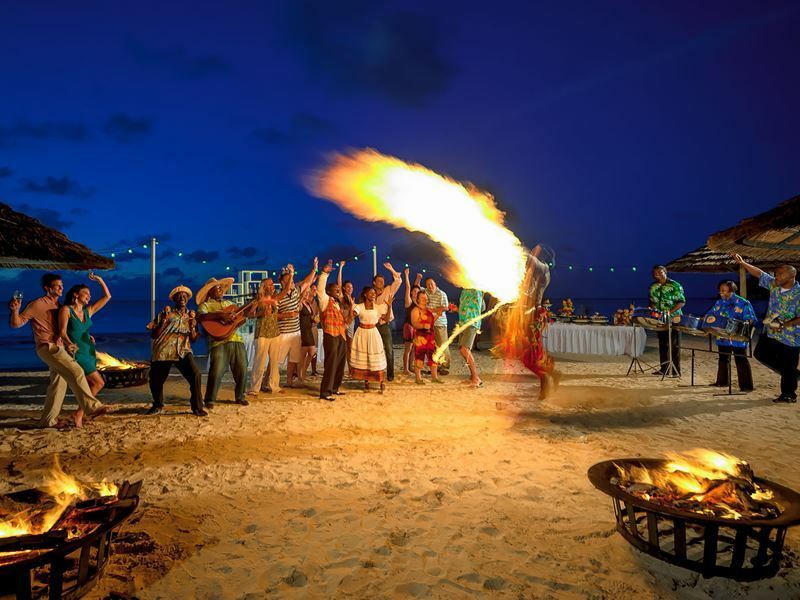 There are several fabulous restaurants in Antigua. Catherine's Cafe Plage over at English Harbour is another not to be missed. Quite often, though, we stay home in our rented villa and cook for ourselves. We read, play cards, drink wine and usually go to bed quite early: ready for another day of sunshine, beaches and laid- back Caribbean fun. 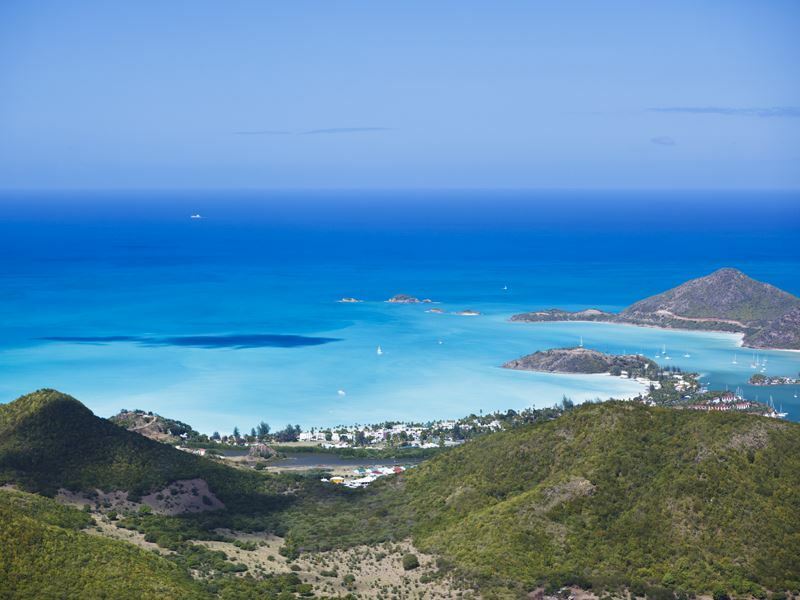 We would like to thank Jennie for telling us why Antigua is her favourite Caribbean island.